Land Rover is one of the most familiar, recognisable and successful brands in the motoring industry but how exactly did it come to power? Nowadays, the company – based in Warwickshire – specialises in four-wheel-drive vehicles but the car’s history can be drawn back to what is regarded the invention of the bicycle in the late 19th century. Land Rover’s progression to the modern day sees many specialist shops making good business on selling Land Rover parts that add to the vehicle’s overall appeal. However, it’s the 1860s where the name of Rover originated and where the first small steps were made to making the first Land Rover. John Kemp Starley, an English inventor and industrialist, set up a business manufacturing sewing machines in Coventry but it was creation of bicycles where he really made his name – and more significantly, Rover’s. In 1884, Starley introduced the very first tricycles and bicycles and named then under the umbrella of Rover. Incidentally, a name which is still used for the term “Bike” in Poland. Four years later, Starley created what is considered to be Coventry’s “first car”. However, the electric tricycle is never developed upon the prototype stage. In 1901 – at the age of 47 – Starley passes away suddenly and his managing director role with Rover is taken over by Harry Smyth who moves the company forward to producing motorbikes and cars, the first of which, is established in 1904. Just two years later, the decision is made to focus production solely on cars and this drives the company to becoming one of the biggest players in the manufacturing industry in the 1920s. After suffering a dip in the early 1930s, Spencer Wilks becomes managing director of the company and appoints his brother, Maurice, as a designer. Wilks introduces systems to reduce the amount of time taken to manufacture vehicles, therefore increasing the company’s productivity. In 1946, Maurice Wilks made the most significant step to creating the modern day Land Rover and subsequent Land Rover parts. Maurice had needed an alternative to his beaten-up war surplus Jeep that was smaller than a tractor but versatile and practical so that he could use it on his farm. A year later, the “all-purpose” Land Rover vehicle was created. Sales improve and Land Rover evolves to become the product that it is today, coming in a number of different models, including the Defender, Discovery, Freelander, Range Rover and Range Rover Sport. After being acquired by BMW in 1994, the Rover group was eventually discontinued by Ford who made Land Rover a part of their Premier Automotive Group. 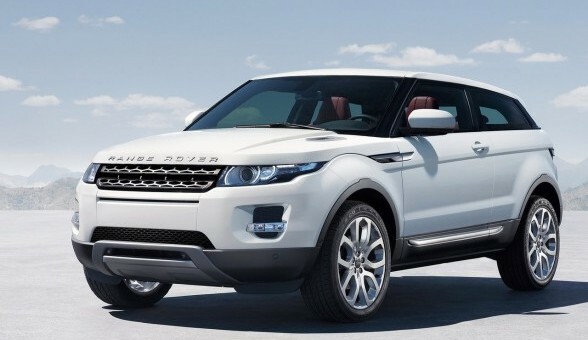 In 2008 Ford sold Land Rover to Indian company Tata Motors. Matthew Wood is a freelance writer, SEO technician and online marketing expert. Matthew writes for a number of online publications, developing SEO-related content and articles for a variety of well-established websites. His latest venture is writing informative and engaging content on the subjects of Landrover Spares and Range Rover Parts for the reputable online agency Land Rover Parts.